After almost thirty years of climate change negotiations, global CO2 levels are still rising (NOAA, 2018). The UNFCCC Paris Agreement goals of holding global warming to ‘well-below’ 2°C and to ‘pursue efforts’ to limit it to 1.5°C are in stark contrast to the ever-dwindling carbon budget. The evidence makes it clear. 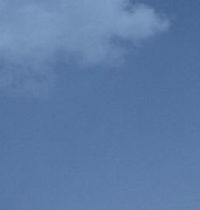 CO2 needs to be removed from the atmosphere, known as carbon dioxide removal (CDR), using negative emissions technologies (NETs) to meet global warming targets. Bioenergy with carbon capture and storage (BECCS) is emerging as the best solution to decarbonise emission-intensive industries and sectors and enable negative emissions. 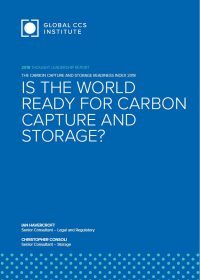 This Perspective from Christopher Consoli, Senior Consultant - Storage, explores this technology and its deployment as a climate mitigation solution. 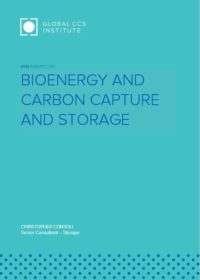 Bioenergy with carbon capture and storage (BECCS) is a promising class of technologies for carbon dioxide (CO2) removal and consists of the capture and permanent geological storage of CO2 stemming from biomass transformation or combustion. Several industrial sectors can implement this technology, including the biofuel sector which is predominantly made up of bioethanol production. Bioethanol is one of the few renewable alternatives to oil and gas-based liquid fuel, with which it can be easily blended to be used as a transportation fuel. As countries seek to decarbonise transport, demand for bioethanol is set to grow globally. By integrating CCS into the production process for bioethanol, negative emissions can be created. It is forecast that a significant proportion of the world’s bioethanol production will come from developing countries (International Energy Agency, 2018). 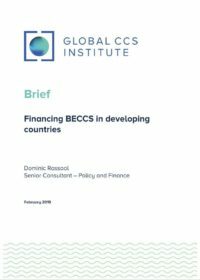 This brief focuses on how the production of bioethanol with CCS can be supported by climate finance providers, and the pivotal role Brazil can play in facilitating this process. Stage 3 – Project wrap up and commercialisation. The work and outcomes of these three phases are summarised in this report. 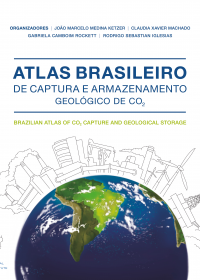 The Brazilian Atlas of CO2 Capture and Geological Storage presents the main CO2 sources in the country in relation to their type and annual emission. The Atlas also presents the existing pipeline infrastructure and rank possible areas (basins) for geological storage in terms of their prospectivity. Legal issues are also discussed in addition to the basic principles of the technology. The Atlas represents an important step in the development of CCS in Brazil and the dissemination of knowledge of these technologies, contributing to actions leading to mitigation of climate change. 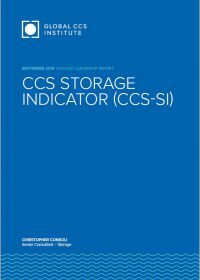 It can be used as a reference for CCS in Brazil, but also as a general textbook on CCS technologies. CarbonNet is investigating the potential for establishing a commercial scale CCS network, bringing together multiple CO2 capture projects in Victoria’s Latrobe Valley, transporting the CO2 via pipeline and injecting it deep into nearshore underground storage sites in the Gippsland region. It plans an initial capacity to capture, transport and store in the range of 1-5 Mtpa of CO2 during the 2020s. 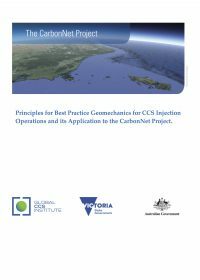 The latest report, titled “Principles for Best Practice Geomechanics for CCS Injection Operations and its Application to the CarbonNet Project”, found the basin in which the CarbonNet Project site is targeting has the ideal geological conditions for storage. 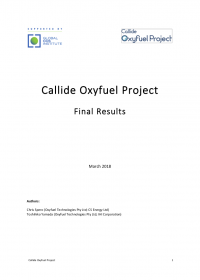 A CarbonNet Project study shows that their storage site would not be prone to seismicity and that the selected site is suitable for the permanent storage of CO2. 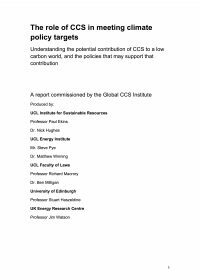 Report led by researchers from University College London: "The role of CCS in meeting climate policy targets"
The Global CCS Institute has commissioned an authoritative and independent report that examines policy issues in the deployment of CCS, in accordance with global commitments to limit temperature increases to below 2 and 1.5 degrees Celsius. 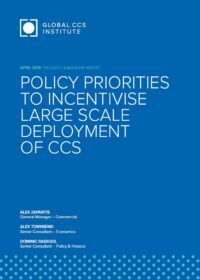 It outlines comprehensively the arguments made for and against CCS deployment, examines the experience of CCS deployment to date in a range of countries, draws lessons from other analogous technologies, and explores findings from integrated energy systems modelling. 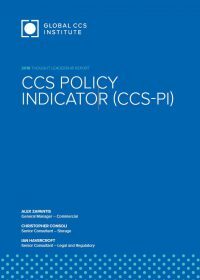 The report is intended to inform a wide variety of stakeholders on the relative importance of the full set of policy instruments available to promote CCS and emission reduction technologies more generally. The report was led by authors Dr Nick Hughes and Professor Paul Ekins at the UCL Institute for Sustainable Resources, as part of a consortium that drew in other world-leading expertise from the UCL Energy Institute, UCL Faculty of Laws, University of Edinburgh and the UK Energy Research Centre. 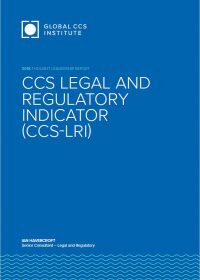 The project team brought together extensive experience on CCS technology, legal and regulatory issues connected to CCS, low-carbon energy policy-making, energy systems analysis and the governance of energy technologies.